What Profit Margin Should Contractors Expect? In the construction industry, it can be difficult to predict profit margins. Some years can be great when demand is high, while slow years can make winning every single project a slugfest with your competitors. With so much variance in the market it can be quite a challenge for those in the construction industry trying to figure out what profit margin they should expect for the year. Generally, contractors would like to expect their profits to rise year over year but this isn’t always the case. The good news is that there are a variety of ways to increase your profit margins if you stay on top of things. 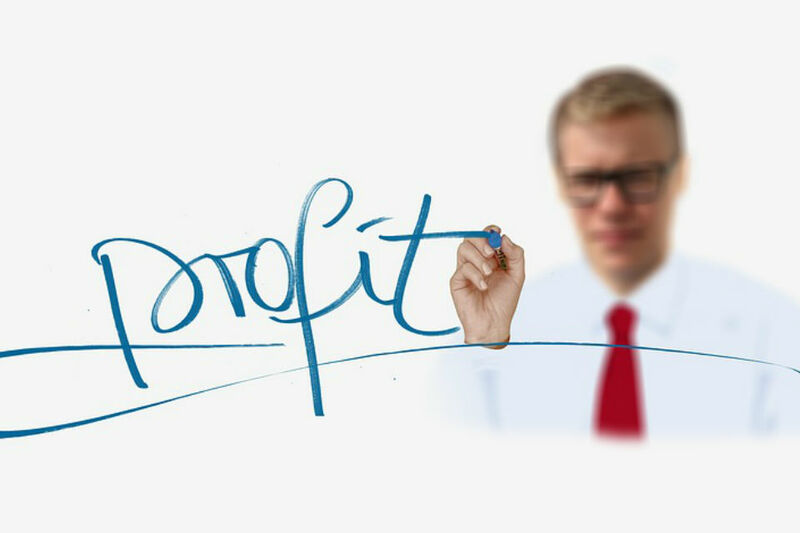 We will look at some of the main factors that contribute to your profit margin and what your expectations should be. What is a profit margin? In simple terms, a profit margin is the amount by which a company’s revenue is more than the costs associated with running the business. Therefore, it’s important to know the exact costs of running your business so that you can make a high profit margin. To understand profit margin and costs of running your business, let’s look at its key determinants—overhead costs and project costs. Overhead costs are not related to specific projects, instead, they include the expenses of running a business on a day to day basis. These costs could be things such as rent, permits, insurance, office administration, and more. You should have a firm grasp on your average overhead costs and what percentage it makes of your total revenue. According to a survey by the NAHB, this is around 10% for most contractors. Accurately accounting for overhead costs are crucial in determining your profit margin and working towards improving it. Project costs are the costs associated with a specific project. This can include labor, materials, equipment, and other project dependent costs such as mileage. Each project will more than likely have a different total project cost unless you perform the exact same project regularly. When you are preparing a bid for a new project, you must account for not only the hard costs associated with the project itself, but also the overhead costs. However, to ensure that your company makes a profit after all costs are accounted for, you must add an appropriate markup per project. This markup will determine the profitability of each project. How do you set the gross margin? Review the project carefully for all the expected costs. Be sure to include sensitivity analysis or contingencies, especially for larger projects that may incur more overhead. For this example, let’s say the hard costs come to $1, 500. We will add 15 percent for contingencies to the $1,500 to get total project costs, which brings us to $1,725. Then you can look at margins based on specific project types. If it a new installation of a roof, HVAC system, electrical work, and so on, we will add the industry lowest margin of 20 percent to our total project value. That will translate to a price of $2,070. Considering overhead costs of 10% on the original $1,725, the profit margin for this project would be the markup for the project divided by the total price. So, in this case it would be $345/$2,070 = 16.6667% margin. This is where it’s critical to know your overhead costs and what sort of profitability you want to achieve. If your overhead costs exceed the industry average of 10%, you might make 5% or less profit on a project like this. The chart below can help you figure out your margin versus your markup. Select the number in the left column for your markup to achieve the margin in the right column. Then, if you know what your overhead percentage is, you can subtract that from the number in the right column to let you know what your profit margin will be. So, using the table above, if you are an HVAC contractor trying to achieve a 10% profit margin and you know your overhead is 13%, you would want to set your markup at 30%. Then your margin of 23% minus 13% overhead would leave you with your desired profit margin of 10%. Before you send out a quote, though, you need to consider the competition. In this case, it can be helpful to use a tool like HomeAdvisor’s True Cost Guide to see what the average price is for a service in your area. In a heavily competitive area, contractors may use a markup below 20 percent for certain projects, and you’ll need to decide if it’s worth your time to bid on certain projects or to try to stick with projects that have greater profitability. While it’s incredibly valuable to know how to calculate and set your profit margins, when it comes to reality, competition is fierce. Customers want the lowest bid more often than not. If you don’t put together a competitively priced bid, you may end up as an outlier either too high or too low. Knowing this, it’s important to have a strategy for putting together profitable bids. Here are some things to focus on. Looking at a job site with your eyes alone is not going to cut it. Get dirty. If a tape measure is required, carry it. You win or lose margins during the assessment of the job. Resist the temptation to copy project quotes even if they are strikingly similar. While reviewing the job, try as much as possible to figure out the steps, materials, labor, expertise, and timing as accurately as possible for the job at hand. What happens when 70 percent of the project funds are used up and only 60 percent of the job is done? This is trouble. You can only know that through proper documentation and tracking. Track every job’s progress; crunch the numbers every week for long projects, and daily for short projects. Having this historical data to lean back on will help you to not make the same estimating mistakes again. If you are just starting your contracting business, you will likely have to compete in a cutthroat environment. The success rate for most new contractors is alarmingly low. Alternatively, you can establish yourself as a specialty service provider where you can offer higher quality for better margins. So, for example, rather than providing all roofing services, become the local expert on metal roofing to establish a niche and build your brand within your market. Set a profit margin goal each year. Devise a strategy of achieving it and stick to it. Any project that does not reflect on the bottom line positively is usually not worth it—unless you are a new business and using it for your portfolio. As you push forward to a profitable future for your contracting business, you can make your life easier by having the right tools to make your estimates stand out from the crowd. The JobFLEX app allows you to make and email estimates and invoices in a matter of minutes right from the jobsite. Click the link below to try it today.